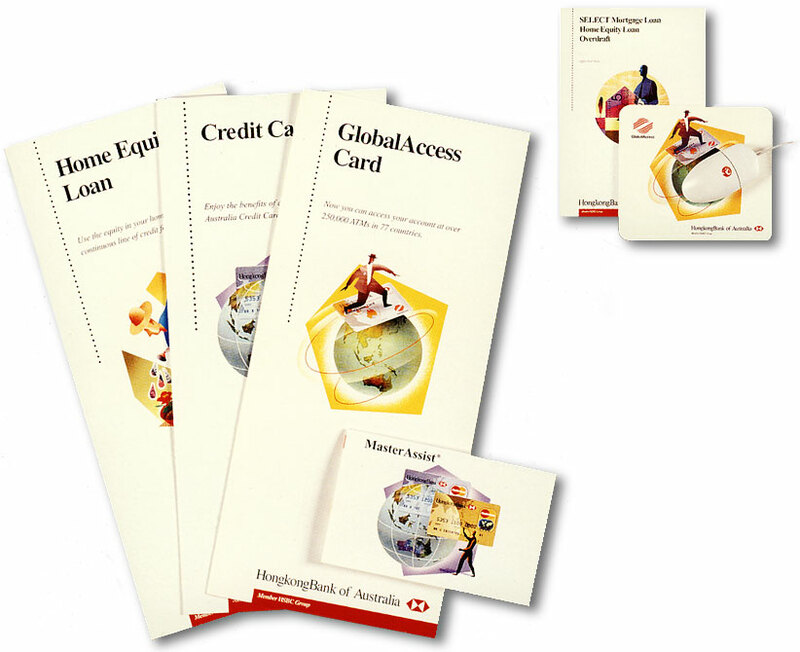 The Client: HongkongBank of Australia is a member of the HSBC Group, one of the world's leading international banking and financial services organizations. The HSBC Group has over 5,000 offices in 78 countries and territories, including more than 600 in Asia. The Brief: To redesign the entire range of personal banking information. The design had to attract Asian as well as non-Asian high net worth individuals while adhering to the HSBC corporate guidelines.